The February 2017 issue of History of Psychology is now online. Articles in this issue explore the work of O. Hobart Mowrer, Howard W. Odum, and Timothée Puel, respectively, Karl Menninger’s The Crime of Punishment, and the changing relationship between psychology and philosophy through a digital analysis of journal content. In the news and notes section Chetan Sinha discusses the indigenization of psychology in India. Full titles, authors, and abstracts follow below. O. Hobart Mowrer had one of the most productive and curious careers of any psychologist in the 20th century, despite struggling with severe mental illness and anxiety about his sexuality. Early in his career, he was one of the country’s leading experimental psychologists. During the mid-1940s, he became interested in religion and argued that anxiety was caused by repressed guilt that came from real wrongdoing. By the late 1950s, he had abandoned mainstream psychology, arguing that religion had been corrupted by its embrace of psychology and psychiatry. He claimed that sin was responsible for nearly all psychological problems and that ethical living and confession of wrongdoing could prevent mental illness. During his religious period, Mowrer received an astonishing amount of fawning press attention and was embraced by a public desirous of a path to mental health that did not require jettisoning traditional conceptions of sin, guilt, and human nature. This article examines Mowrer’s life and career and situates him among other mid-century skeptics of psychology and psychiatry. Other historians have argued that by the 1950s, the conflict between religion and psychiatry/psychology in the United States had largely abated, with both sides adapting to each other. Mowrer’s life and the reception of his work demonstrate that this narrative is overly simplistic; widespread conservative and religious distrust of psychology persisted even into the 1960s. This study focuses on the analysis of the early work of Howard W. Odum (1884–1954) and the examination of the psychological aspects that marked his reflection on African American music. This analysis reveals many of the aspects that were generically shared by the psychological agenda of the period when analyzing aesthetic experience and activity. Outstanding among these are the relationship of the musical phenomenon with very basic or primary affective-emotional dimensions, the conception of the musical phenomenon as an indicator of the cognitive-affective development of human groups, its expression in the form of cultural and complex intersubjective products, or its possible participation in the technoscientific design of social reform and progress. The simultaneous treatment of all of these aspects in Odum’s work brings to light the interdisciplinary framework in which early psychology moved, while revealing the theoretical and ideological contradictions and controversies that enveloped the discipline, above all, at the point where it attempted to place itself at the service of the constitution of self-governed individuals. All in all, Odum’s work also reflects the crucial role that early psychology attributed to art as a privileged medium to give meaning to experience and the human being’s vital purposes. The physician and botanist Timothée Puel (1812–1890) lived through a pivotal period of psychology (1848–1878), between the academic prohibition of the study of animal magnetism to its disjointed recovery in hypnotism and psychical research. One of his cases of “catalepsy complicated with somnambulism” triggered a lively debate on “extraordinary neuroses” within the young Société médico-psychologique [Medico-psychological Society]. In 1874, Puel founded the Revue de psychologie expérimentale [Journal of Experimental Psychology], the first of its kind in French, which he intended as the vehicle of international interest in psychical research, the scholarly and institutionalized study of “psychism” that prepared the way for the recognition of academic psychology. Puel circulated between these different currents by taking advantage of the polysemy of concepts like “sleep,” “experimental psychology,” and “psychism.” This article discusses his role in the context of emerging French psychology in the mid- to late 19th century. Recent research has used networks of scholarly journal articles to investigate the intellectual structure of the discipline of psychology from the later 1880s to the early 1920s. Here, instead, we examined the networks of philosophical journals that were closely aligned with psychology—The Monist, Philosophical Review, and The Journal of Philosophy, Psychology, and Scientific Methods—between 1890 and 1913. We discovered that, although the first 2 of these journals published a great deal of psychologically relevant material up to 1903, material of that sort seemed to evaporate after the launch of the third journal in 1904. It was not so much that material migrated from the old journals to the new one. It was rather that the new journal was able to attract new trends in American philosophical psychology, while interest in traditional approaches seemed to dry up. The result was that psychology moved into a new and expansive era, while America philosophy was left somewhat destabilized as it attempted to reconfigure its disciplinary identity. 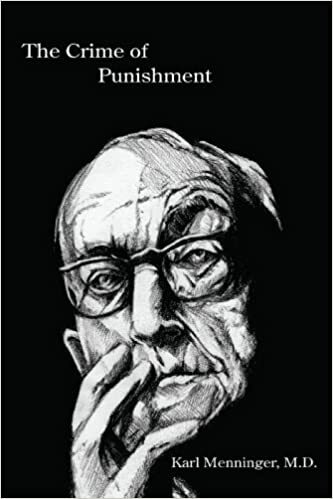 In 1968, Karl Menninger, a highly visible and vocal U.S. psychiatrist, published a call to action on prison reform, The Crime of Punishment (Menninger, 1966/1968). This widely circulated book’s central idea is that punishment as practiced in penal settings is an injustice amounting to a crime. At the outset, The Crime of Punishment quickly achieved national attention. Within mainstream psychology, its antipunishment message encountered a changed climate in which punishment, thought ineffective during the period 1930 through 1960, was redefined as an effective component in learning. It also met competition from the contemporaneous Stanford Prison Experiment (Haney, Banks, & Zimbardo, 1973), which quickly rose to equivalent media presence and superior disciplinary prominence. Both the Stanford Prison Experiment and The Crime of Punishment survived in the antireform era of hyperincarceration after 1974 as parallel examples of reform activism, one secular and one religious in character, illustrating some convergences of aim between psychology and psychiatry outside of specifically clinical issues. Presents news concerning members of the Society for the History of Psychology, including articles written by members that have been accepted for publication. It is also noted that the journal is initiating a series entitled “News & Notes Poetry Corner,” which will emphasize the marginal, yet notably amusing, role of psychology-oriented poetics in the history of the field. This essay contributes to the celebration of the 50th anniversary of the founding of the Society for the History of Psychology (SHP) in its earlier form (Division 26 of the American Psychological Association). Ronald Mayer’s history of the division is updated by providing a description of some of the noteworthy events and changes in the organization since his publication. Discusses the indigenization movement of psychology in India, which attempts to develop a context sensitive discipline that can understand the concept of mind and human behavior from the cultural perspective. It emphasizes the culturally bound aspects of human nature and uses methods to explore the ways in which culture emerges from history. Given the directions of scientific research, it is not absurd to engage with Western theories. Nevertheless, some Indian psychologists have resisted what they consider the intrusion of modern psychology. They have forwarded premises about human nature in the philosophical roots of traditional Indian thought which look tautological and feed back to our oppressive social structures; for example, the patriarchy and caste systems. The scope of social change is limited under the garb of indigenization, unless the movement of indigenization calls for social change. Several points are made, of which Indian psychological approaches should become cognizant to better understand the relevant contexts for social responsibility. In addition, several recommendations are suggested for a new wave of psychological research in India.